We absolutely love our work, and get no greater satisfaction than to see our delegates have an amazing experience at a conference, collaborate and share. We love it when our convenors and committee’s receive the congratulations they deserve for the work that they contribute. It’s why we are in this business. It started in 1994 initially, as a one woman band, Paula Leishman, Founder and Managing Director began the business from humble beginnings. The Year 2000 was a big year in Australia with the staging of the Sydney Olympics, and so spurred on by this, Paula left the comfort of her home office, rented premises in downtown Hobart and employed two full time staff. The business has grown, thanks to a great group of clients who appreciated the personal service that they received; and we now have offices in Hobart and Melbourne, and work for clients based around Australia delivering conferences nationally and internationally for clients across the association, corporate and government sectors. There are more than just two in the office now. In twelve years we have established ourselves as one of Australia’s leading companies, and in most years our work takes us to every state in Australia. Our knowledge of all locations is high and we work closely with Convention Bureau’s to ensure that we are offering the best options to our clients, so we always have local knowledge, no matter where we are. At Leishman Associates we believe that we are on our way to being the best Conference Managers in Australia, that’s our goal. We continually refine our processes; look for better ways to manage conferences; engage with our clients to find out what they want as part of their conference and then employ the best people we can find to bring all of this together. Our team are committed professionals, combining youth and experience and we take our business seriously. As Tasmanian Managers of the ICMI Speakers & Entertainers Bureau, we are able to engage the pick of Australia’s talent for our clients. We make sure that the convenor and committee have a great time at the conference, and that their journey is an enjoyable one. 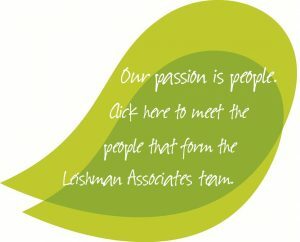 Leishman Associates know first-hand what conferences are about, we have a passion for conference management and know “it’s all about people”. We know what you are looking for within a conference manager and we aim to not only deliver this, but exceed your expectations.